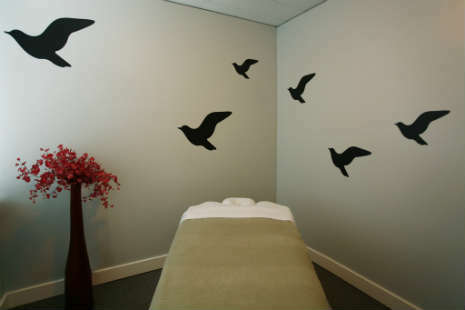 Lynn Valley Massage Therapy is a relaxed, quiet environment for you to come and take time for yourself, knowing you are receiving the best care and attention from our Registered Massage Therapists. Most of us are leading increasingly busy lives. Somewhere down on the list is caring for oneself and most often it is foregone. Most of us live with some niggling condition whether it's back or neck pain, intermittent headaches or hands that sometimes fall asleep. Isn't it time that you felt better? 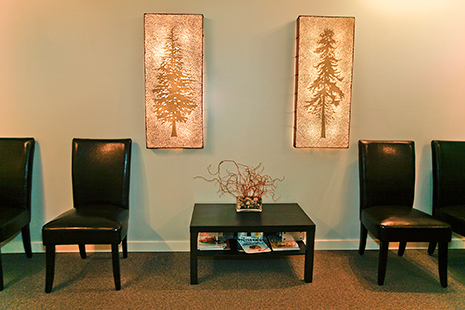 Relieve yourself of those dysfunctions in a calm and relaxing environment. Everyone can benefit from therapeutic massage, whether you have chronic areas of pain or conditions that need attention or maintenance to prevent injuries and promote your well being. Purely relaxation or Swedish massage treatments are also available, although most clients enjoy having some depth to the treatment to address chronically tight muscles, while having a good dose of relaxing lighter strokes thrown in for good measure. Rates include GST. We accept payment by debit, visa, mastercard, cash & cheque. 24 hours notice is required for change or cancellation of appointments. If insufficient notice is given and we can not fill the appointment, you will be responsible for payment. Gift Certificates are Available & Make a Fantastic Gift!